Many parents with full time careers can use the added assistance of a Personal Assistant in DC, and ABC Nanny Source is the place to find one! As a Personal Assistant in DC, Claudia has helped restore order to parents’ busy and hectic lifestyles. "I came from a big family and it was our responsibility to take care of one another. I love working with children and it gives me great pleasure teaching and guiding them. If I was asked to describe in one sentence the reason I have chosen to be in the Nanny profession over any other it would have to be because it’s rewarding to be able to teach the children and to watch them grow. I have been serving in some form of childcare experience for over 15 years and can honestly say I love what I do! I feel that children are eager and willing to learn new and exciting things. My goal as a Personal Assistant in DC is to create a safe, educational, and nurturing environment for the children. I am willing to do housekeeping that includes vacuuming, dusting, dishes, laundry, and grocery shopping. If I had to describe myself in five adjectives, I would say that I am friendly, energetic, professional, patient, and outgoing. Activities that I would like to incorporate in the daily plan for the family I care for would include arts and crafts, songs, tummy time, story time, daily walks and outside activities. If asked to describe the perfect family seeking a Nanny like me, I would hope they would be a family that is caring, honest, fun and filled with energy." "Claudia met all of my expectations and then some. There are not enough great words to describe Claudia. My children are all very well behaved, respectful to others, and easily sociable with other children thanks to their time spent in her care. The pace in which they learned was only out-matched by the enthusiasm and fun they had with her. They went from little girls who did not want me to leave them, to children that could not wait to say goodbye to me and go have fun and learn with their nanny. That was all due to Claudia’s steady nurturing and calm presence with them while they transitioned and as they grew up. I cannot recommend her enough. She truly exemplifies all that a Personal Assistant in DC should be." "Claudia is an intelligent and motivated Personal Assistant in DC. She is more than capable of managing children, parents and her peers. Her primary responsibilities were to observe the classroom and fill in where possible. Claudia’s duties included preparing the class, recordkeeping and curriculum planning for students that ranged in age from three to six. Claudia is creative, deeply conscientious, professional and hard-working individual. I am forever grateful to her for all of her efforts, hard work and dedication and I wish her every success in her endeavors." "Claudia always did more than what she had to do. She always took her time with every child that was in the daycare. She would also take time for us parents to talk to us about any issues our children had. She was an amazing and dedicated pre-school teacher. Claudia was like a second mother to my children. My son suffers from asthma and she was always on top of giving him his medicine. She even took time out of her nights at home to come see my boys at their wrestling matches. She really knew how to make parents feel comfortable leaving their children with her. I highly recommend her to any family as a Personal Assistant in DC, she is a gifted and talented childcare provider." 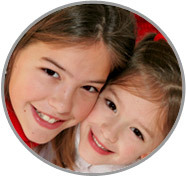 "Claudia has been working with me as a Personal Assistant in DC, and she is great with children. At all times I have found her to be extremely organized, dependable, hardworking and passionate about her job. She is honest and courteous always. Claudia is truly and asset to my family, and will be to any new family that she becomes a part of. She has my highest recommendation. I am happy to refer her to anyone interested in using her services!" "Claudia has a great connection with children of all ages! Her ability to connect with our children has been fantastic. My girls are very excited when she arrives and have grown very close to her. She is a fast learner and positive motivator! She is very energetic and idealistic. I highly recommend her as a Personal Assistant in DC!"